We've unlocked over half a million Blackberry handsets since 2005, and we've learned how to deliver safely and instantly. Imagine the independence of choosing and customizing YOUR OWN plan and provider! Unlocking your handset is the BEST way to get what YOU want from your Blackberry. We guarantee it. Our Blackberry unlocking process is 100% safe and guaranteed to unlock your handset - wherever you are. Your Blackberry will not be damaged in any way throughout this process, but you WILL gain worldwide functionality! So how do you unlock your BlackBerry? It's as easy as punching in a couple of digits on your keypad! We'll provide you with step-by-step instructions and a Blackberry unlock code straight from the manufacturer. Once your handset is unlocked, you'll be able to use it anywhere, with any provider - even more than one! Great for frequent travelers who need to communicate on the go. There are all kinds of unlocking options for Blackberry on the web - but ours is the best and the fastest. We're so sure you'll love our service that we'll match ANY price you can find. 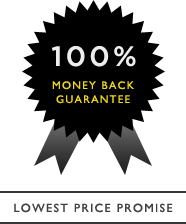 What's more, we'll still back you up with a 100% money-back guarantee. It's easy. Just watch the video above and you will see that it doesn't require any technical expertise at all. If you do have any questions, rest assured because we've got the Web's BEST customer service department available to help you 24/7! Great and fast service, my device was up and runing with no issue, the instruction was 100% accurate. I would reccomend anyone to this site, great jobs Guys. Thankyou ever so much for your service, you were quick to use and worked effectively. 5 stars! Amazingly good, as usual. Second phone unlocked, even easier and quicker. It was very fast and kind thank you. Excellent service. Took 10 minutes before I had my code and it worked without a problem. The code worked first try. Service was very fast. I recommend this company totally. Initially was sceptical about what you guys claimed, but still took my chances, immediately after ordering, within mins got a response and what an experience, took less than a min to get my phone unlocked. Nice. Loved it. No problems at all and this is the second phone Ive unlocked, unlocking.com is golden! Service was very quick and easy! The code provided worked great and I have since been able to change service carriers! All-in-all, this was a great experience and I will definitely use Unlocking.com again soon!! Excellent! Im using torch9800 in Japanese DoCoMo SIM, and I have no problems. Great- fast service and worked without a problem. Would recommend this company! Works as expected. Great price. Thanks! It totally worked! And the code came within a minute. Thanks! My phone is working well, and i truly was happy with the discount you offered me too. Many thanks for that. Your company is GREAT!!! I was able to unlock a Blackberry Storm I had in about 15 minutes for my Girlfriend. Her T-Mobile Phone had died. and she didnt want to renew her contract or spend hundreds for a new phone. In addition, I looked like "THE MAN" when I put her Sim card in(at which point it was able to make phone calls and text messages), made a few adjustments, installed the T-mobile service books and handed her a fully functional Blackberry for about 15 bucks!!! Thanks Unlocking.com!!! As I expected from previous review, the service was quite fast and efficient and easy of use. Great service overall. Really quick order time, and really friendly, helpful customer service, many thanks. Wonderful service; reliable and quite fast as well. Unlocking.com saved my life! My old phone had gotten wet, and I thought that I would of had to wait 6 months to get a new phone. I had an old blackberry, but it was AT&T and I thought that it would never work on T-MOBILE. I did some research and learned that I could unlock it. I stumbled upon Unlocking.com from a search engine, and to be truthful, I was quite skeptical. I paid my 15 dollar fee, and in less than 20 minutes I had a brand new phone. Absolutely love Unlocking.com and would recommend this to anyone. Great Service! Fast & Easy Thanks a Lot!!! I thought this would be a sketchy website and that it wouldnt work but it did! I can now use my Blackberry anywhere, and it was so much easier than getting it done at the store. I would recommend unlocking.com to anyone who would like to be free from the chains of their original service provider. It is fast, easy, and definitely worth it. Super fast no problems at all up in a couple min. Quick and easy process, support were excellent and I got the code. First code worked perfectly and I am now using my unlocked Blackberry Storm. Great service and highly recommended. I was very happy with your service. Thanks. The site is easy to navigate and the service I had was absolutely without fault.The mail i received telling me how to unlock my phone was clear, concise and easy to follow.When I need another phone unlocked, I will have no worries about using Unlocking.com service again and again. My only suggestion on how the site could be improved would be to have an even wider range of phone models listed. from my experience since i have a mobile phone shop i can say Unlocking.com is the best unlocking website I ever used for all kind of phones, I never had any problem with any unlock code and if the unlock code is not available you will get a refund right away like what happened in one of the phones i tried to unlock. Excellent service! I appreciated the timely follow-upas the friendliness of your staff. The process was seamless. My phone works beautifully. Many thanks! After searching many sites, decided to use yours because of the helpful unlocking instructions and the price. Thank you. I bought a new Razr in France but when I got home to the UK, it wouldn't work. It was locked. Thanks to you guys, I didn't make a mistake and got it unlocked in less than 24 hours. Thank you so much. Whew. I could not get the automated unlock application working. But the manual process was easy. I would recommend the service to anybody. Thank you. great service - an unlocking site that actually delivers ! Great service, you are simply the best!! I'm being green so using my old phone was important. I unlocked it using your services and it could not have been easier. Thanks for helping. I have been very satisfied with your company service and the unlock system easy to follow instructions and prompt communication by email. This was my first time ever buying a unlocked code. Now i know if i need i another i will come back here always. Your customer service was great answer my question fast, and everything work like it was said. Thank you, cant wait to buy from you again. Great experience, ultra fast service will definitely work again with you guys. Simply awesome. Just simply awesome. Fast service and great instructions. Thanks for making my Blackberry a worldly device. I don't know why I waited so long to unlock. I travel for business and was using an old phone but now I feel connected when on the road. The whole experience unlocking my phone with Unlocking.com, was easy,fast and simple.Everything you need from a site like this.The code was delivered and worked fine.I was impressed by their service and will use them again in the future. Excellent service, very good support team, very quick response time. Thank you very much! It was very simple and easy. Could not believe the promptness and accuracy. Would definitely recommend your service to my friends. great help it all worked out perfect!!! very happy!! Great service and experience! Didn't have any trouble unlocking my phone!! I recommend it!! i was very impress by the speed in which you got back to me. the code worked and the directions were very clear. This is the second time i have used your service and this time was even better than the first time which was pretty remarkable. You're service was great and your codes worked amazingly on the first try along with your easy instructions! I will seek to unlock all my phones from here on out! amazing! 2 thumbs up! thank you so much, Your company is very well run, your people stayed in touch with me until I achieved my code. Perfect! IF YOU WANT TO UNLOCK YOUR PHONE I WOULD HIGHLY RECOMMEND THE UNLOCKING.COM.. I RECEIVED MY UNLOCK CODE FOR BLACKBERRY STORM AND INSTRUCTION STEP BY STEP .. THANK YOU GUYS IT WAS RATHER CHEAP AND EASY .. Perfect communication. Worked fine. Thanks. I paid, I got my code, it all worked perfectly, excellent service. Thanks! I am glad that you have unlocked quality phones. I am hoping to get my wife one soon also. Thank you for your great service. The instructions for unlocking were easy to understand and follow. Landline support was excellent for questions. Another excellent experience with great customer service. Much appreciated. Everyone was very helpful and most importantly I got the correct code to unlock my phone! Thanks Unlocking.com. Overall customer support N/A in my case. Hi. I'm 12 and I helped my dad unlock his Motorola phone. He's really happy now. Thank you! I gave my daughter a Blackberry to take to university but her roaming rates were staggering. I never thought of unlocking until I read about it and researched some sites. You made the process seamless. She is now unlocked and I am not going broke. Many thanks. The process of ordering was simple and easy, and the instructions were easy to implement. I have recommended your website to many others who have also used it to their satisfaction. I had tried another service provider (wireless unlocking), but they only provided a link to another site which required very complicated downloads and navigation that could be done by a computer science major. I was staring at screens with symbols and icons and could get no where. Help was non-existent, too. I decided to try your site, and bang, my problem was solved instantaneously. I have had you unlock four phones for me so far, and all were as smooth an whipped cream. Excellent. I have told everyone about your site. 1. Enter your IMEI, original network carrier and an email address for your code. 2. Your BlackBerry code will be sent to you within 30 seconds. 3. Follow the simple instructions and enter your code to unlock your BlackBerry. How do I get my new service books? 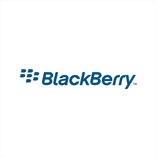 To use the email functionality on your BlackBerry you may need to have your carrier send their service books to your handset. This is a free service. Do I need a BlackBerry compatible plan? Yes, your new SIM card will have to have a BlackBerry "add-on" to enable BlackBerry functionality. This usually has a small monthly charge from your carrier of around $5 - $10 per month. How can I determine if my phone is locked or not? You can view our video to check if your BlackBerry is locked. What if I don't know the original carrier?